In the public's mind, few well-known conquerors in history match the exploits of Alexander the Great. In just a few years, from 334-330 BC, Alexander would go on to conquer the largest empire the world had known and establish his empire that eventually stretched from Greece to India. Furthermore, Alexander began a process where Greek culture began to intermix with ancient Near Eastern, Egyptian, Central Asian, and Indian cultures that influenced much of the Old World for many centuries. The exchange of ideas and trade brought about an era of unprecedented prosperity and knowledge that advanced the ancient world's sciences and led to many discoveries that would not be replicated until the Renaissance in the 15 or 16th century AD. What is remarkable is he achieved all of this by the age of 32 at the time of his death in Babylon. However, the root of all the social change that would eventually influence Europe, the Near East, Egypt, and much of Asia rested in his ability to conquer a lot of territories and doing it quickly. The question is how did he do this? Figure 1. A mosaic showing Alexander attacking Darius III and his center line at the battle of Issus. Alexander took power after the death of his father, Philip II of Macedon, who had already planned to invade the Persian, Achaemenid Empire. His first battles were in Greece and the Balkans, where he consolidated his power while suppressing several revolts. Shortly after crossing into Asia Minor in 334 BC with perhaps 30,000-50,000 troops, Alexander quickly won his first major battle at Granicus. This victory allowed him to take the western half of Asia Minor. After a few sieges and taking the city of Sardis, one of the most important cities in Asia Minor, he proceeded toward Syria where he encountered the Persian King Darius III in 333 at the battle of Issus. This is the first major battle he had with the Persian king, and once again Alexander proved his excellent strategic thinking by outflanking the Persian army through the use of his cavalry. 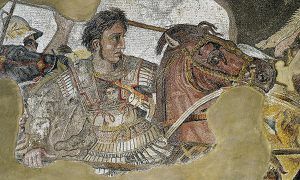 He made a direct attack on the Persian king's center line, where this key moment in the battle became a famous Roman-era mosaic found in Pompeii (Figure 1). After the battle of Issus, Alexander took the Levant and the coastal Mediterranean cities, which were important trading cities and had allowed the Achaemenids to derive much of their wealth and establish their navy, and proceeded into Egypt. In Syria and the Levant, his only major encounters were the sieges of Tyre and Gaza in 332 BC. In Egypt, he was quickly accepted by the local population, as the Egyptians had revolted against the Achaemenids not long before Alexander and, therefore, saw this as an opportunity for new leadership. Here, he became considered the son of Amun, the chief of the Egyptian pantheon, further exalting him in the eyes of his new subjects. Alexander also began the process of founding cities, the most famous of which was Alexandria. Its position along the Mediterranean reflects a key change, where Egypt and the eastern Mediterranean worlds would be more strongly integrated into culture and trade in the centuries to come. That was Alexander's intention from the outset, showing that he likely had long-term, strategic thinking about the nature and future of his conquered lands long after his own time. Figure 2. The extent of Alexander's empire after his wars with the Persians, in Central Asia, and India. The Achaemenids perhaps had one more great chance to defeat Alexander at the battle of Gaugamela near modern-day Erbil. There, once again Alexander's tactics proved decisive where his forces formed a wedge-shaped attack that then tore into Darius' center, causing the king to flee the battle likely. With this battle secure, all of Mesopotamia fell to Alexander, and Alexander entered the great city of Babylon without any need for combat. It is at Babylon that Alexander perhaps decided he would make the city the new capital of his now vast empire, as it would unite the Greek and Near Eastern worlds more closely. Alexander then went on to take Susa, the old capital of the Persians, and then the ceremonial capital of Persepolis, which was at least partially burned most likely by Alexander's troops. Only one more major battle was fought against the Persians at the battle of the Persian Gates, a strategic crossing. 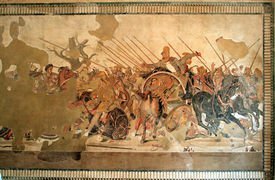 After this, Darius III was killed by one of his generals, and Achaemenid factions continued to lead a guerilla-style war against Alexander, although they squabbled between themselves over the remains of their empire. This division allowed Alexander to easily reach Central Asia with only minor resistance, where he founded many cities along the way that gained importance during the rise of the Silk Road. This included the city of Kandahar in Afghanistan and eventually reaching Tajikistan, almost near the edge of Tibet. His wars continued in Central Asia and India, where he initially encountered major resistance. Alexander's battles were the first where European armies had encountered war elephants, which likely caused great fear in his army before eventually overcoming them in battle. Nevertheless, the difficulty of long campaigning and undoubtedly loss of many men led to his men tiring of conflict and eventually forcing Alexander to pull his forces back, finally reaching once again Babylon. By the time Alexander finished campaigning, he had created the first empire that connected Europe with Central Asia (Figure 2). Alexander's success lied in his military genius in knowing how to use his cavalry and troops precisely at key moments in battle. Several times it seemed he was close to defeat but was able to use the situation to his advantage by luring his enemies into a deeper trap. Furthermore, his troops were well trained in holding their positions and not panicking in battle. However, a lot of the success had little to do with Alexander but the nature of the Achaemenid Empire. The Achaemenids were perhaps the most successful empire up to that point. They had not only succeed in uniting a vast territory but also genuinely integrating it into a cohesive realm that traded extensively and had well-maintained roads. The Achaemenid state was prosperous, and people had by then began to move and live in areas far from their homelands. The world, in essence, had become smaller thanks to many of their tolerant policies. While it is true that Egypt and some other regions had revolted against them, many had benefited from the Achaemenids. It is no wonder, therefore, that Alexander marries Persian royalty and eventually takes on the regalia of the Achaemenid kings. This is also why he had planned for Babylon to be his new capital, as it was one of the chief cities and capitals of the Achaemenid Empire despite being in Mesopotamia. Commerce had now become the glue that bound many regions, and Alexander understood this. This probably led to his men resenting Alexander's penchant for the Achaemenids, as the Greeks still held beliefs that the Persians were not on the same level as them. While Alexander died before he could realize his dream of a super empire, the benefits of the east became more apparent to his generals and men. Many of them stayed after the wars. New Greek populations began to migrate to the Near East, and the process of mixing Hellenic and eastern cultures had started. The mixture knowledge of Greece and Near mixed and created an integrated understanding that facilitated the rise of astronomy, physics, mathematics, and other scientific fields. Alexander's legacy lasted long after his death and his military success paved the way for the tremendous Classical achievements that eventually became one of the foundations of the Renaissance and our modern Western world. How Did Early Judicial Systems Evolve? ↑ For more on Alexander's father and his plans of conquests, see: Carney, Elizabeth Donnelly, and Daniel Ogden, eds. 2010. Philip II and Alexander the Great: Father and Son, Lives and Afterlives. Oxford ; New York: Oxford University Press. ↑ For more on this battle, see: Matthews, Rupert. 2008. Alexander the Great at the Battle of Granicus. Stroud: Spellmount. ↑ For more on the battle of Issus, see: Delbrück, Hans. 1975. History of the Art of War. Lincoln, Neb: University of Nebraska Press/ Bison Book, pg. 191. ↑ For more on Alexander's campaigns in the Levant and Syria, see: Freeman, Philip. 2011. Alexander the Great. New York: Simon & Schuster, pg. 26. ↑ For More on the Battles of Gaugamela and Alexander's later battles against the Persians, see: Wilcken, Ulrich, and Eugene N. Borza. 1967. Alexander the Great. Norton Library. New York: Norton, pg. 60. ↑ For more on the battle tactics of Alexander, see: Bose, Partha Sarathi. 2004. Alexander the Great’s Art of Strategy: Lessons from the Great Empire Builder. London: Profile. 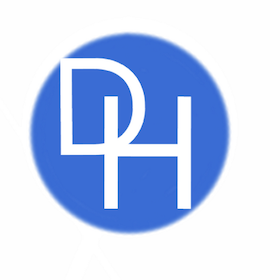 This page was last edited on 18 January 2019, at 23:09.